Guitar Lessons: What is a 'Full Chord'? Now that you've mastered the 'Simple Chords', and learned to read tablature, it's time to tackle full chords on the guitar. 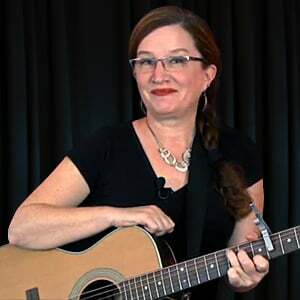 Unlike the 'Simple Chords' you learned which use only the top three strings of the guitar, full chords will use four, five, or all six strings of the guitar. Which strings are used, and how, will vary with each chord. Each chord will also have a Bass Note. The Bass Note is the lowest sounding note in the chord, and will be played first in the strum technique we will be working with.